Prof Muhaya Eye and LASIK Centre (PMELC) is a refractive surgery centre that provides refractive surgeries including ReLEx-SMILE (Refractive Lenticule Extraction-Small Incision Lenticule Extraction) and LASIK (Laser Assisted In-Situ Keratomileusis). 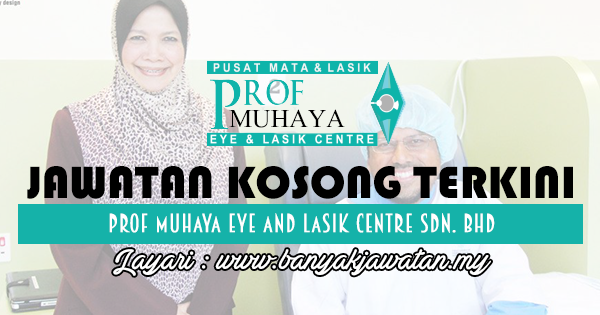 Currently we are among the expanding eye specialist centre in Malaysia. Since our inception on 2 May 2014, we have successfully treated nearly 8000 patients through comprehensive eye assessments and refractive surgeries; out of these patients almost 50% of them had undergone ReLEx-SMILE or LASIK. Today we are the fastest growing eye specialist centre in Malaysia and the 3rd in South East Asia Region. 0 Response to "Jawatan Kosong di Prof Muhaya Eye And Lasik Centre Sdn. Bhd - 26 August 2017"